The current Sunderland squad is laden with exciting talent. Whether it’s former Premier League stars, exciting young players or their talented loan acquisitions, they’ve arguably got the best squad in all of League One. They’ve attracted the sort of player other teams simply cannot. Who else in League One could tempt Lewis Morgan from Celtic, or afford the huge fee for Will Grigg? Which other academy will produce the likes of Josh Maja, Lynden Gooch and George Honeyman? All across the squad, there’s talent and skill, so much so that it must have been hard for one man to force himself into the reckoning. 24-year-old Luke O’Nien was one of the signings in the summer that may have passed a few fans by. The former Wycombe player spent last season in League Two with a side not renowned for free-flowing football. He started the campaign on the edge of the first team picture, but after the recent win against Walsall he has to be considered a key figure. Walking into training on his first day must have been a challenge. Seeing players like Aiden McGeady and Lee Cattermole, established professionals with pedigree, O’Nien must have wondered how he fitted into the pattern. It took him a while to showcase his talents, but he can be confident he’s now one of the key men. He’s versatile, operating in both midfield and defence, but more recently as a full back. He’s made 16 starts for the club in the league now and is likely to get his Wembley final too. Whilst every player at the club should feel a sense of achievement, the former Watford trainee must surely feel that little bit more. He didn’t come with a big reputation, he didn’t have the first-class upbringing behind him and yet he’s excelled when given his chance. 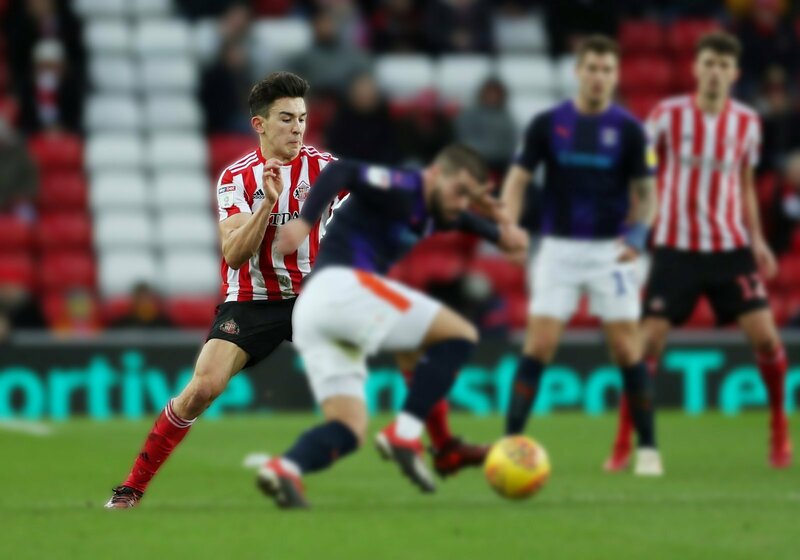 As he came off the pitch this weekend, another 90 minutes as a first team Sunderland player under his belt, he must have afforded himself a smile He’s kept Brian Oviedo, a Costa Rican international, out of the side. Luke O’Nien has proved himself every bit as good as the rest of the squad and that’s a huge testament to his attitude as much as his ability.